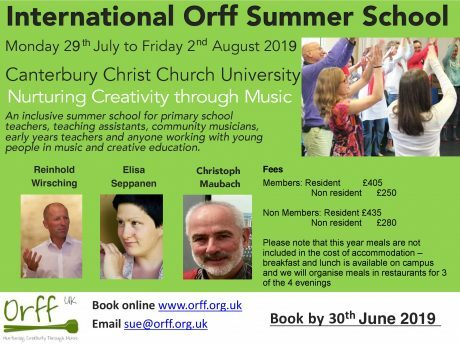 An inclusive summer school for primary teachers, teaching assistants, community musicians, early years teachers and anyone working with you people in music and creative education. The Orff approach combines speech, movement and music in imaginative ways which enable everyone to take part, learn and have fun. The tutors are experienced in working with all abilities (both children and adults) and experts in inspiring teachers.